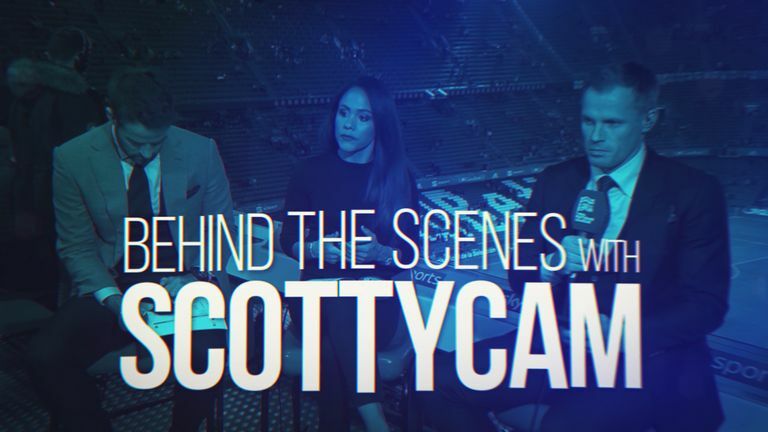 Alex Scott takes you behind the scenes of Sky Sports' coverage of England's memorable victory over Spain in the UEFA Nations League. From quizzing Kyle Walker and Jamie Carragher on right-backs to a 'happy birthday' message from Sergio Ramos, Scott captured the scene as the Sky Sports team visited Seville. The former England Women's defender also looked around the stadium ahead of kick-off and shared a peek of the celebrations with her fellow pundits. England won the game 3-2 thanks to a dazzling first-half display which saw Raheem Sterling score twice, either side of a goal from Marcus Rashford. Watch footage of Scotty Cam in the video above!